Mrs Whiteley and Miss Gallagher are the Music Coordinators. Music is all around us and is recognised world-wide as a way of promoting self-esteem, enjoyment and a sense of emotional well-being. 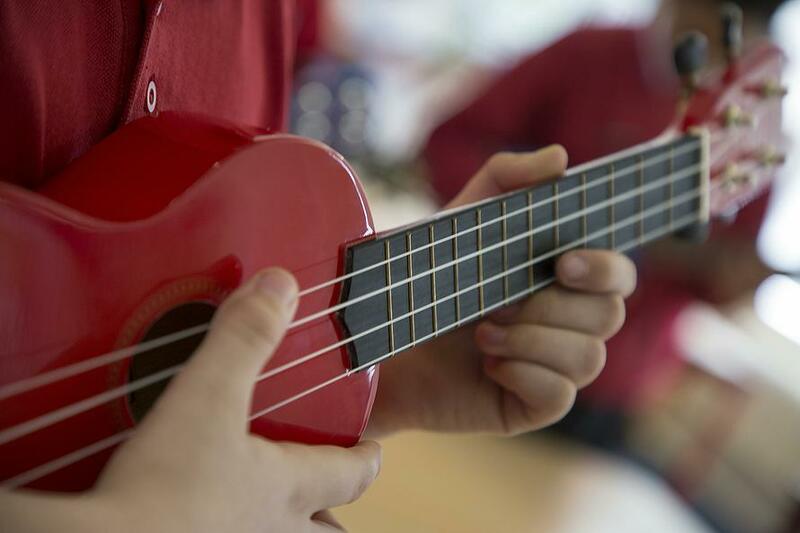 At Redscope Primary School, we are keen to develop creativity and self-expression through music, and our children have a rich range of opportunities through which they can experience music. They can also take their love of singing out into the local community of Kimberworth Park and the wider one of Rotherham. 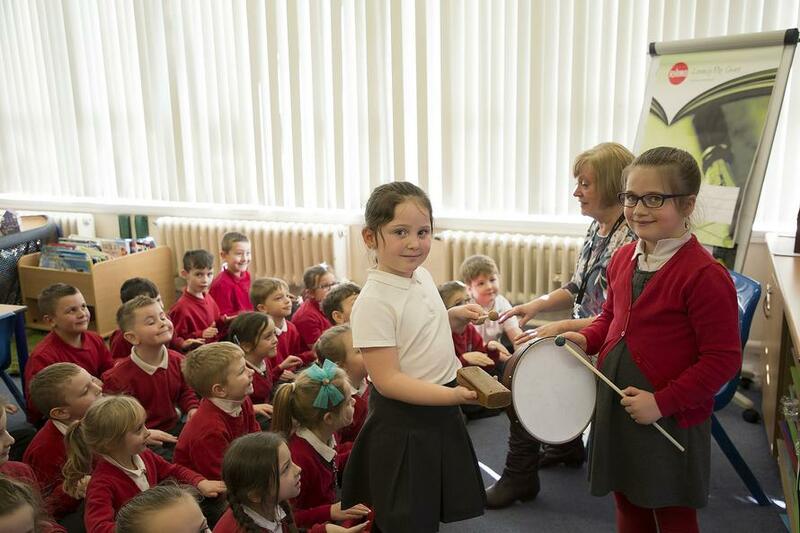 Each class from Year 1 to Year 6 has a weekly Music lesson with Mrs.Whiteley using the “Active Music” scheme promoted by Rotherham Music Service. The lessons cover pulse, rhythm, pitch, notation, playing instruments (both tuned and unturned) and singing games. The lessons are mainly delivered through singing. These lessons also develop the skills of listening, memorising, taking turns, performing and appraising, and enhance success and self-confidence regardless of academic ability. Children gain experience of working both as an individual and a group member. 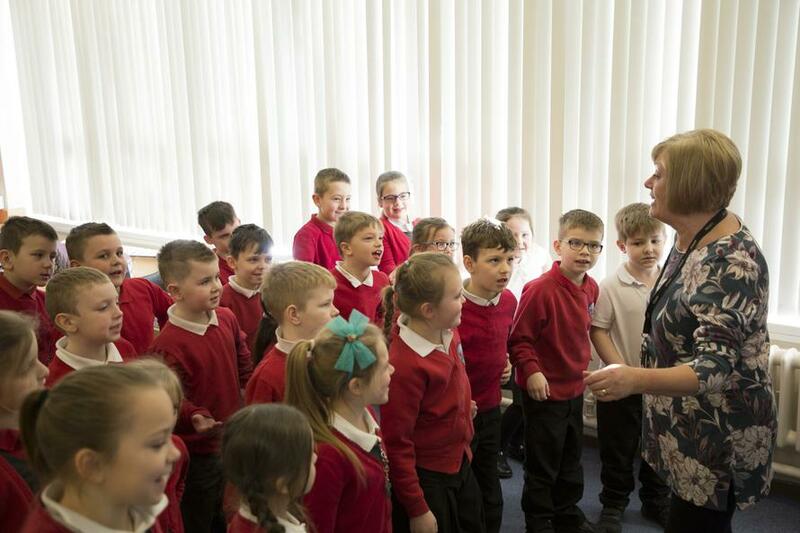 There is a weekly singing session for each Key Stage, when a variety of songs are learned and used in assemblies, festivals such as Christmas and Easter, parent finales and outside events. Some songs are linked to topics being covered in the different year groups. 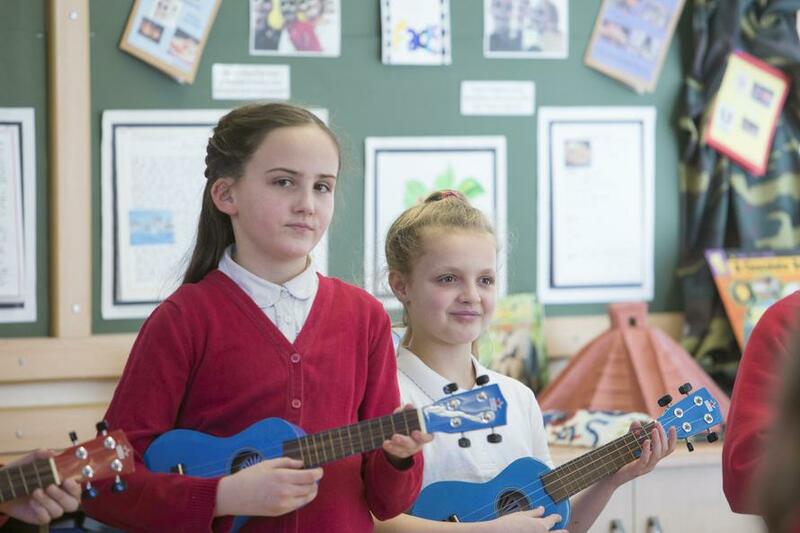 In addition, children have whole-class ukulele lessons for a total of three terms, Spring and Summer in Y5 and Autumn in Y6. These are given by Mrs. Bennett, who works for Rotherham Music Service. There is choir for Y4,5 and 6 run by Mrs. Whiteley and Mrs.Walton, and a newly formed one for Y1,2 and 3 organised by Miss Gallagher. We do not audition for these groups, so they are open to all children. Mrs. Pye has just started a recorder club for Lower Key Stage 2. All these activities take place after school. 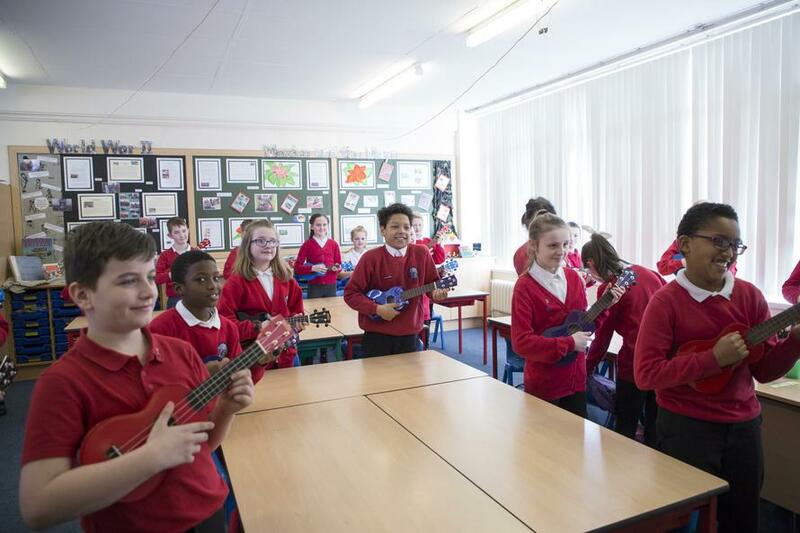 Key Stage 2 children can also access formal instrumental lessons in school through Rotherham Music Service, as well as through a private provider. At present we have children learning brass, guitar and piano. 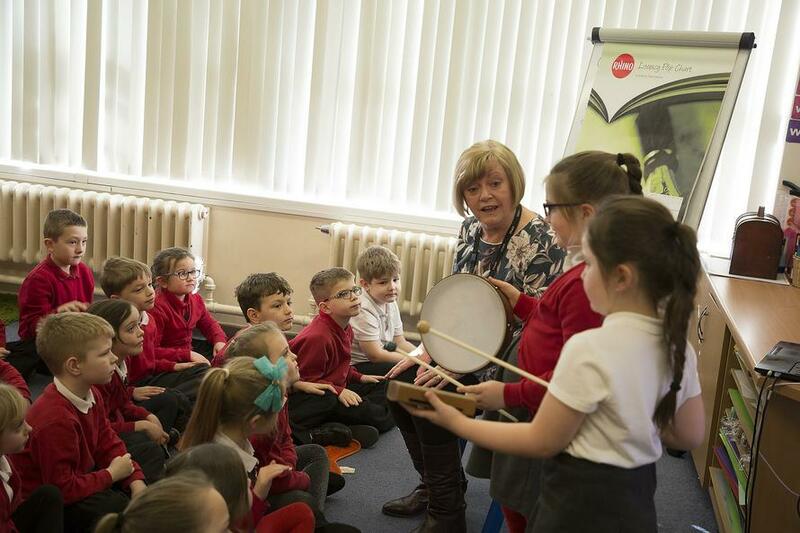 Through their Redscope school life, children have the opportunity to work with visiting musicians, such as an African drummer, listen to professional musicians in both school and outside venues, and perform at the One Voice and Young Voices events when in Y4 and Y5 respectively. 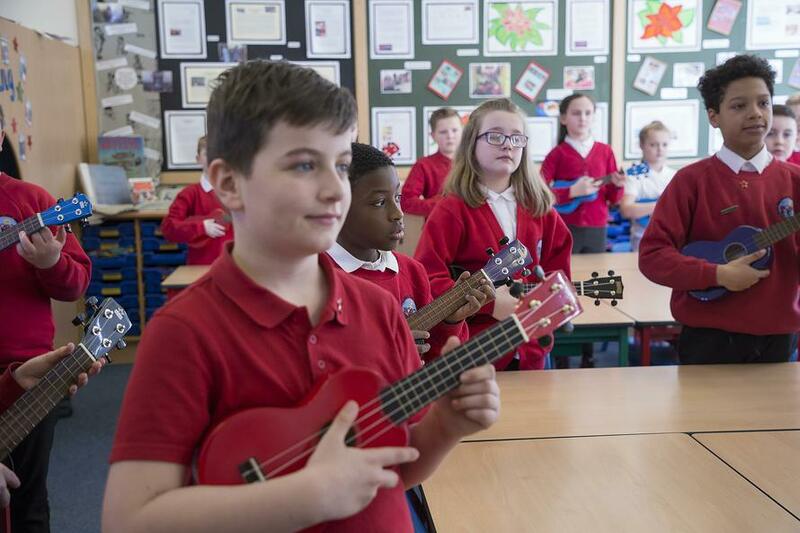 They also listen to a wide range of recorded music form different eras and cultures, and some of this is used to enhance other lessons such as P.E., as well as beginning to learn about some of history’s most famous composers.